I've been drawing with ink since May 1st. Two months entirely in ink. 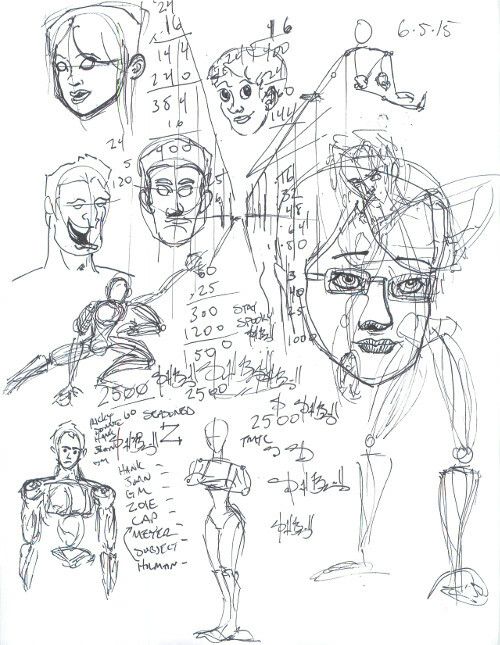 I think I said in the blog that there's something liberating about using ink instead of pencil. Its permanence makes it easy to treat the lines less like they're precious and can be perfected on the page in front of me and more like they're one of tens of thousands I'll put down before I get any good. 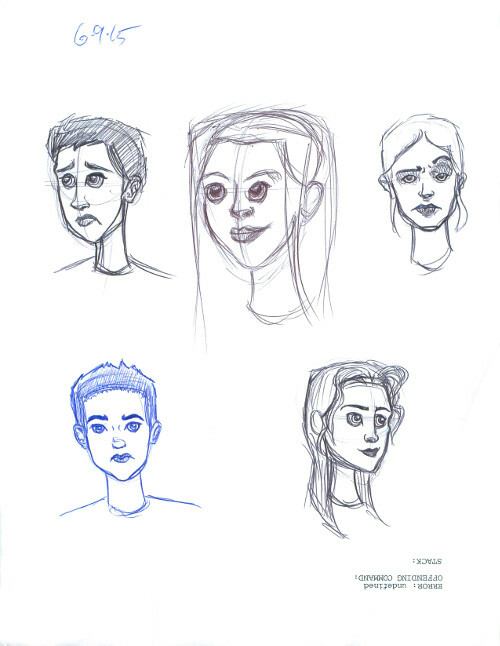 Over the course of June, I got fairly comfortable with some relatively sound guidelines for placing features on a face and made significant first steps in my bodies by moving my focus on anatomy more toward gesture drawing. Drawn to Life - a two volume collection of the lectures Walt Stanchfield gave at Disney - and the first chapter of Michael Hampton's Figure Drawing have both done pretty well to convince me that this is the best foundation to build from. There's nothing quick about my progress, but I enjoy being able to actually recognize when I'm learning something and carrying it forward for the most part, excepting those real stinkers that show up every now and then. A style all my own remains elusive, but I like where things seem to be headed. It's not different from where I'm trying to go. 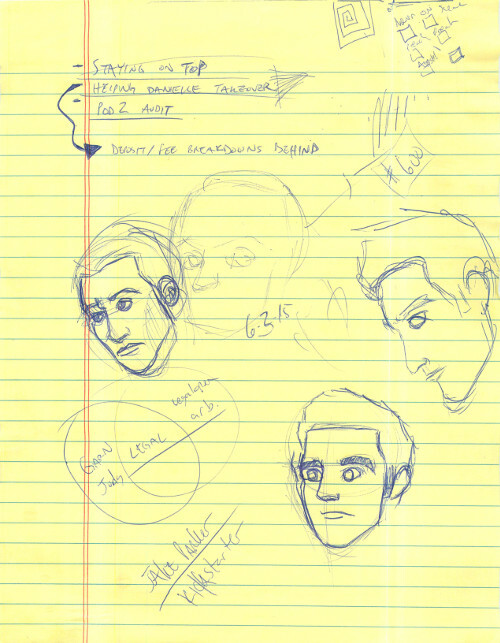 Look below for the sketches and notes on each day's drawings. 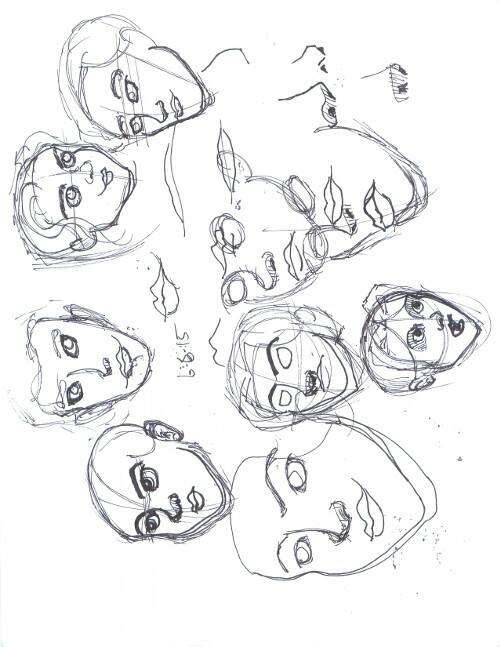 06.01.15 - 06.03.15 - Looks like I'm making progress with faces. Having trouble with jawlines. 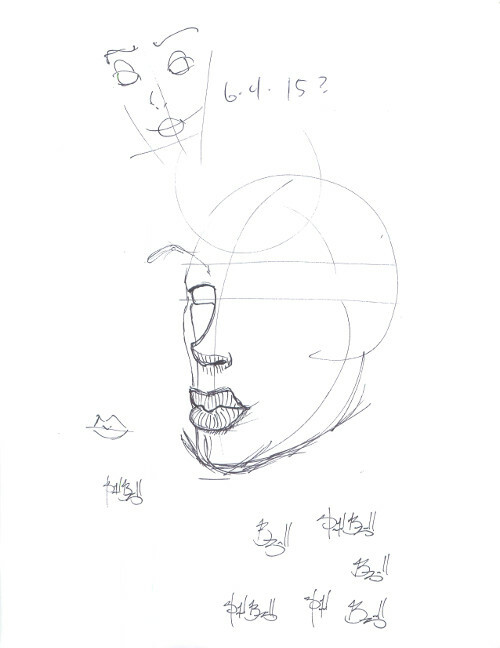 06.05.15 - Not my signature though. That thing looks fantastic. Still lacking any consistency in style. 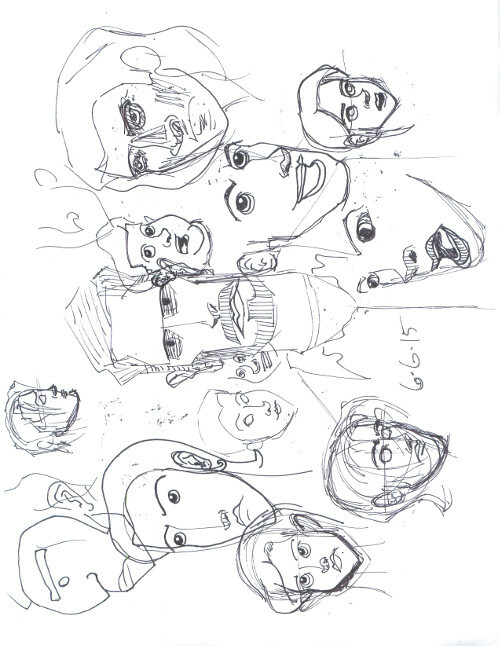 Giving the features the same proportions and placements on each face is a real challenge for me. I can't see the thing before I draw it. Not sure how to work on that. Guess I'll just keep drawing. 06.06.15 - Getting closer to being comfortable placing features... with the occasional complete botch. 06.08.15 - Finally looks like it's coming together. 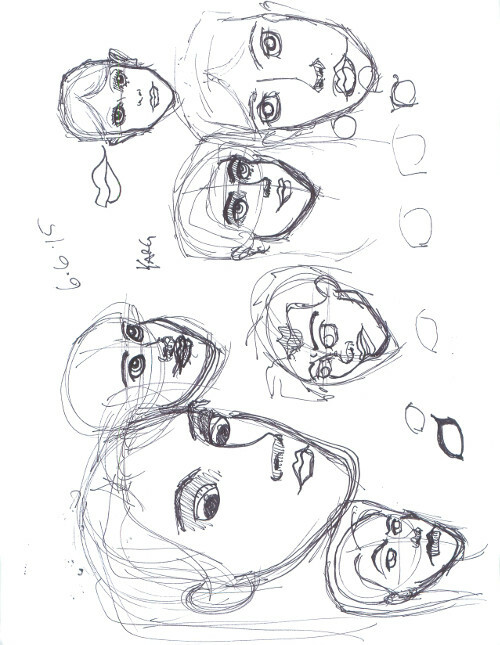 Style is still fluctuating, but proportions are becoming more consistent. 06.11.15 - I think this is a good time to put a hold on faces and learn a thing or two about bodies. Though I'm far from being a master, I'm much further away when it comes to anatomy. 06.12.15 - Just a starting point. 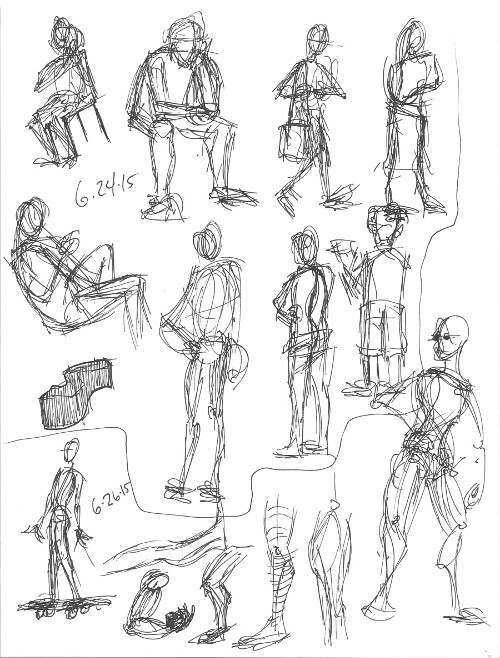 06.15.15 - 06.16.15 - Mostly working on anatomy here - proportions and rough shape. A little bit on gesture. As much as my imagination can give me with no reference. 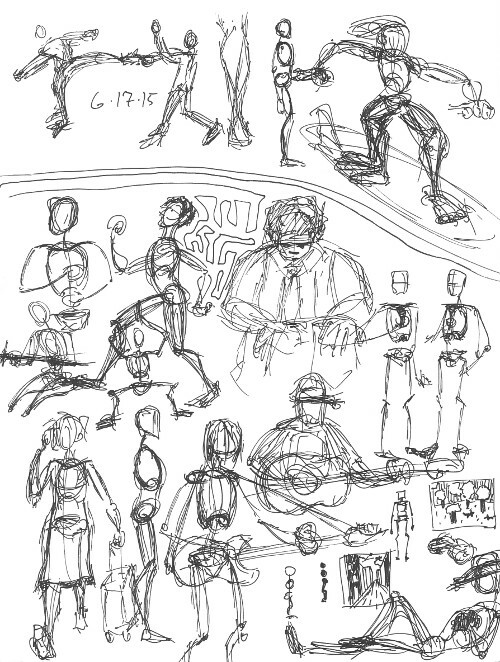 06.17.15 - Definitely focused more on gesture now, but I start with anatomy as a reason to draw gestures and open up to the idea of using gesture as a reason to draw anatomy as I go. 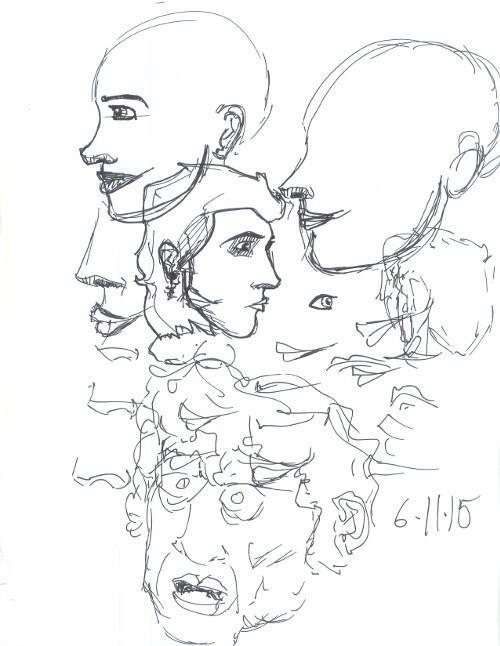 06.24.15 - Some people whose gestures I tried to capture while waiting for a connecting flight at the airport in Phoenix. Some good results here. Having a model certainly helps in finding a gesture. 06.26.15 - I particularly like the spaceman with a lunch tray.